From the popular Honda Accord to the family-friendly CR-V, Weir Canyon Honda has a wide selection of certified pre-owned vehicles available for Yorba Linda shoppers to choose from. Each vehicle goes through a thorough inspection in order to earn the CPO title, meaning each model is in excellent quality. Browse our inventory of certified pre-owned vehicles for sale online, then visit us near Tustin and Anaheim Hills to test drive a model of your choice! New Price! CARFAX One-Owner. Clean CARFAX. Certified. 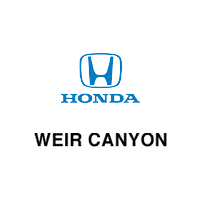 LX All services completed by Weir Canyon Honda, Bought Here, Every Pre-Owned Vehicle Comes With A Full Tank Of GAS! !, Honda Certified 7Year 100k, Local Car One Owner Clean Car Fax, New Oil & Filter, Serviced Here, Safety Package, Security Package, Value Package, Power Package, Power Mirror Package, Popular Equipment Package, Backup Camera, Bluetooth, Black Cloth, 16" Wheels w/Full Covers, 4 Speakers, ABS brakes, Air Conditioning, AM/FM radio, Brake assist, Cloth Seat Trim, Driver door bin, Driver vanity mirror, Electronic Stability Control, Four wheel independent suspension, Front Bucket Seats, Front Center Armrest, Front reading lights, Low tire pressure warning, Outside temperature display, Passenger door bin, Passenger vanity mirror, Power door mirrors, Power steering, Power windows, Rear window defroster, Security system, Tachometer, Tilt steering wheel, Traction control. Odometer is 11882 miles below market average! 31/41 City/Highway MPG Honda Certified Pre-Owned Details: * Limited Warranty: 12 Month/12,000 Mile (whichever comes first) after new car warranty expires or from certified purchase date * Transferable Warranty * Roadside Assistance with Honda Care purchase * 182 Point Inspection * Warranty Deductible: $0 * Powertrain Limited Warranty: 84 Month/100,000 Mile (whichever comes first) from original in-service date * Vehicle History Awards: * 2016 IIHS Top Safety Pick+ (When equipped with honda sensing) * NACTOY 2016 North American Car of the Year * 2016 KBB.com Brand Image Awards 2016 Kelley Blue Book Brand Image Awards are based on the Brand Watch(tm) study from Kelley Blue Book Market Intelligence. Award calculated among non-luxury shoppers. For more information, visit www.kbb.com. Kelley Blue Book is a registered trademark of Kelley Blue Book Co., Inc.
Why Buy a Certified Pre-Owned Vehicle From Us? When you buy a CPO model, not only will you have peace of mind, thanks to the vigorous inspection, but you’ll enjoy many additional benefits as well. Some of these benefits include a generous CPO warranty and roadside assistance. Certified pre-owned vehicles also must meet certain requirements. Honda CPO vehicles must be 6 model years or newer and have fewer than 80,000 miles. Have questions about our certified pre-owned models? Contact us today!